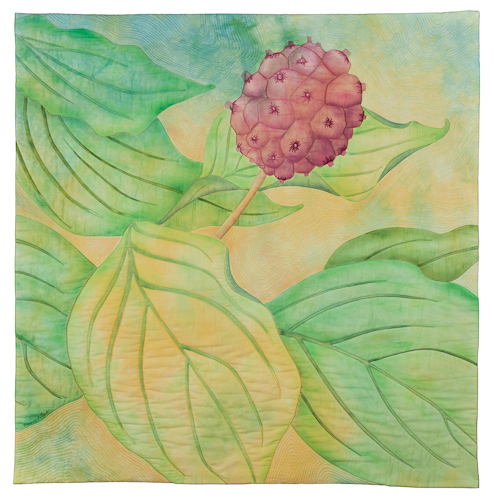 Nancy G Cook is a fiber artist using layering of textiles to convey impressions of nature as a metaphor for the stages of life. 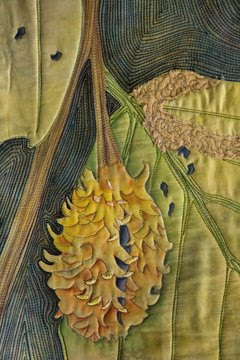 She works with fabric because she loves the look of it, the feel of it and its historical memory traces. Cook’s most recent series are contemporary whole-cloth quilts using her own stencils to create an inked design. 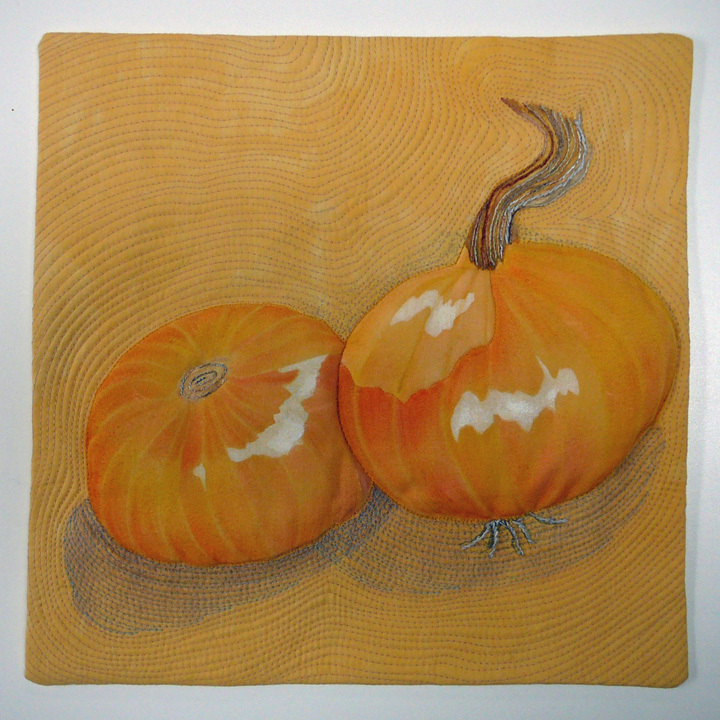 Her hand-guided machine quilting creates a low relief sculpture with hand-stitched details. In addition to creating one of a kind art, she lectures, teaches and does commissions. Cook’s art is in numerous private and public collections and has been exhibited throughout the USA, and in Canada, Europe, Taiwan and Australia. With over a dozen solo and featured artists exhibitions featuring her Seed Play series, her art textiles and articles have been published in magazines and books, including two pieces in 500 Art Quilts and a piece on the cover of Creative Quilting. 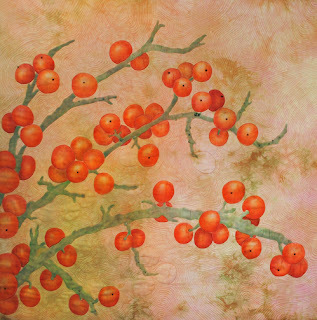 Mockingbird's Larder 36 x 36"
Kousa: A New Dogwood's in Town 36 x 36"
Detail from Summer Split 28" x 36"